I promised to report back from last week’s University of Derby conference on Enlightenment, Science and Culture in the East Midlands c.1700-1900 if it turned out that there was any connection with Jamaica. It was no surprise to find one, although in a place I had not hitherto connected with Jamaica. The small Lincolnshire town of Spalding is now something of a backwater, but in its hey-day it was a thriving east coast port connected to the sea via the river Welland. Now best known for its spring bulbs and for Lincolnshire’s rich agricultural lands, it also has the distinction of having been the first place in the UK where barcodes were used, according to Wikipedia! Maurice Johnson was born at Ayscoughfee Hall in 1688. He founded the Spalding Gentlemen’s Society in 1710, the same year that he married Elizabeth Ambler with whom he went on to have twenty-five (some sources say twenty-six) children! Although some died in infancy and some in childhood, eleven seem to have lived to grow to adulthood, and it was one of his younger daughters Ann Alethea Johnson who provides the connection with Jamaica. On the 15th of August 1751 Ann Alethea married Richard Wallin of Jamaica. He was made a member of the Spalding Gentlemen’s Society on the 5th of December that year. “Proposed by the Reverend Mr Johnson That Richard Wallin Esqr (only son of John Wallin Esqr late of St Jago de la Vega in Jamaica deceased) At his own instance be elected a regular member assented to be subscribed with these proposers by the Secretary Dr Green and the Operator Mr Michael Cox”. Their first child Ann Lydia was baptised a year later at St James, Westminster but died young, possibly before her parents sailed for Jamaica. There Richard Wallin took up his inheritance and three more children were born – Richard about 1753, Lydia Elizabeth in 1754 and Ann Alethea in December 1757. Their mother was buried in St Catherine’s parish on the 9th of June 1758, and little Lydia Elizabeth died the following year leaving Ann Alethea Wallin to inherit the Wallin estates. Her father Richard Wallin was the only surviving child of John Wallin and his second wife Lydia Stoddard – a brother John, who may have been the elder, matriculated at Oxford in 1745 but then disappears from the record. There seem to have been no children of John Wallin’s third marriage to Mary Sackville in 1744. John Wallin was an early settler in Jamaica and Lydia Stoddard’s mother was Anna Williamina Archbould grand-daughter of Captain Henry Archbould one of the original colonists. Ultimately the Wallins seem to have bequeathed little to Jamaica other than their name. The widowed Richard Wallin travelled to Philadelphia where in 1760 he married Catherine Shippen and died about six months later. His daughter Ann Alethea Wallin was brought up in England and married the Rev. Charles Edward Stewart who became Rector of Wakes Colne in Essex from 1795-1819. They had at least six children between 1775 and 1794 and Ann Alethea died some time before 1817 when Stewart married a second time. An estate referred to as Wallens in St Thomas in the Vale, which may be the same as Wallins, was recorded as being in the possession of James Blackburn in 1788 and it is reasonable to presume that the trustees appointed by Richard Wallin sold it on behalf of his only daughter. A further connection with Jamaica is through Robert Hunter (1666-1734), Governor of Jamaica between 1727 and 1734. Maurice Johnson was Steward for his manor of Crowland near Spalding. Hunter left his extensive estates in Jamaica and England to his son Thomas Orby Hunter on condition that he did not marry Mrs Sarah Kelly, the widow of Charles Kelly! The reasoning for this was probably not any prejudice against the young widow, but rather fears of his son becoming entangled in the labyrinthine debts left by Charles Kelly. As for the Spalding Gentlemen’s Society, it was formed in a very ‘clubbable’ period of the eighteenth century, a time which spawned clubs and associations for all sort of purposes – all male of course. William Stukeley, another a Lincolnshire man, friend and contemporary of Johnson pioneered archaeology investigating Stonehenge and Avebury. Johnson and Stukeley also re-founded the Society of Antiquaries in 1717, and started the Ancaster Society in 1729 while Stukeley founded a botanical club at Boston (Lincolnshire) in 1711, the Belvoir Club in Leicestershire in 1727 and the Brasenose Society at Stamford in 1736. The latter took its name from the brazen nosed door knocker taken there in 1330 by a breakaway group of Oxford students. All these clubs and societies very much reflected the Enlightenment, reading letters sent from abroad, papers on various subjects and discussing everything from sea shells, to new engineering techniques for fen drainage and new agricultural methods of improving crops and animals. Another member with a Jamaican connection was John Harries, who was re-embarking for Jamaica in 1732 having brought home a collection including coral to make lime for sugar boiling, shells, nuts and petrified hard wood which he presented to the Society. Among the many distinguished members of the Spalding Society were Sir Isaac Newton, Sir Hans Sloane (another with Jamaican connections of course), the poet Alexander Pope, Sir Joseph Banks, Sir George Gilbert Scott and Alfred Lord Tennyson. Many of these societies lasted only a short time, some had their collections preserved by amalgamation with others and some were simply dispersed. The Spalding Gentlemen’s Society is highly unusual in having survived the loss of its founding spirit – Maurice Johnson died in February 1755 barely two months after his redoubtable wife Elizabeth. 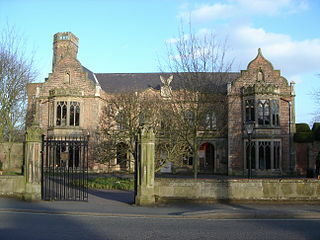 By 1770 the Spalding Society had become more of a book club with occasional lectures, but it continued throughout the nineteenth century and in 1890 it was revivified by Dr Marten Perry and its collection is now housed in a purpose built museum, opened in 1911. You can visit by appointment and see the original minute books and letters as well as the collections. I owe my new found knowledge of the Spalding Society to a fascinating lecture given last Saturday by Diana and Michael Honeybone, who have together edited The Correspondence of the Spalding Gentlemen’s Society 1710-1761, published by the Lincoln Record Society in 2010.